Fabrication rapide. 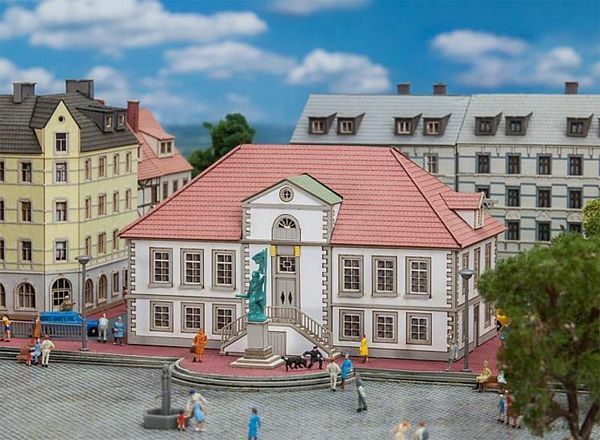 Laser-cut model, faithful reproduction of the original, to celebrate the 200th Anniversary of semi-classical Quakenbruck Town Hall in Lower Saxony, with dog-legged outside staircase, projection and dormer. The predominant grey of mouldings, corners stones, door and window jambs of that two storey administrative building form a contrast to the white facade. Figure and pedestal of the existing war memorial are supplied.